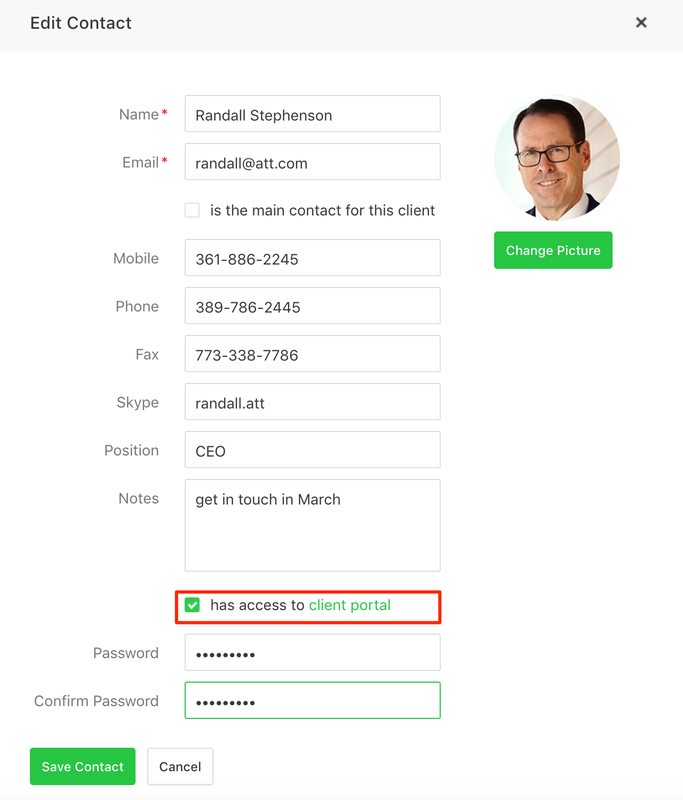 Clients → Contacts → Edit → check the Has access to the client portal option and set a password. To share the link, right click on the green client portal hyperlink, copy the link and send it to your client together with the email and password that you’ve set for them. You can limit the access to time reports through the client portal by using the Share/Private option for each report. Please note that you can share reports only if they have been created for a single client (reports that include more than one client are not sharable via the client portal).